Don't start thinking affordable means cheap. 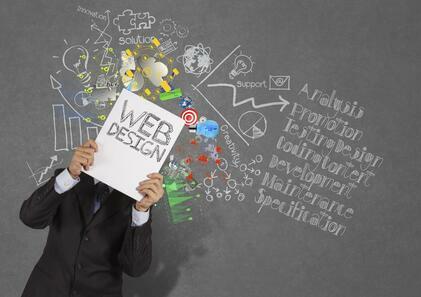 Let's help you clear your head on all the reasons why affordable web design make sense. Here are fourteen common misperceptions that we have addressed. 1. I need to spend a lot of money for it to look good. Nothing could be further from the truth. There are so many tools and options out there that make design incredibly affordable. Gone are the days when you were beholden to the closed-off capabilities of designers who made you pay a premium. Now you can take your budget and create a website that looks just as the big guys who spend tens of thousands. 2. It won’t be responsive. What does responsive mean anyway? It means that your website will adapt its look and feel to any device. With over 50% of people accessing the internet through a mobile device, responsive design is not a luxury, it's a must. And it's something every design agency should provide as part of their BASIC package. It is not something you should pay a premium for. 3. Talented designers aren’t affordable. They aren't affordable if they are working at a big agency and have huge overhead costs to cover. The key is to find the talented and SMART designers. The guys and gals that want the freedom and lifestyle that comes with being a small shop and are savvy enough to set themselves up that way. They know what it means to be budget conscious and they will help you save money. 4. Affordable means they are too small for me. Let your ego go on this one and focus on all the personal care and attention you're going to get. You don't need to pay for headcount and office space. Get smart. Small is quick. Small is value. And small means when something goes wrong you can pick up the phone and talk to a real person and get your problem solved quickly. 5. It won’t be SEO ready. There is not a designer out there who is still in business that doesn’t understand what Google means to your business. SEO is not rocket science either. The right site and content will get you placed where you need to be, which is page 2 of a Google search in the beginning with page 1 being the ultimate goal. This is a critical piece of your online strategy. You need to know what you want to rank for so you can establish a content strategy. Good designers will ask you the right questions pertaining to SEO so you start off on the right foot and don't end up paying for an SEO specialist later on down the road. 6. It’s going to look cheap. It won't look cheap if you don't allow it to look cheap. That is up to you. But it shouldn't be too difficult to create a beautifully designed site on a budget. Design has become democratized through affordable tools and technology. You just need to find the right design agency that knows that too so you can take advantage of the new economics of design. 7. Affordable means they have too many clients. Now this one has a little teeth to it and we would encourage you to do your homework. There are some sweat shops out there that crank out common looking design. But that doesn’t mean all affordable web design agencies are like that. It takes some extra work, but the shops that really care about their clients will be sure to do original work. It is something you need to demand from them. 8. It will look like everyone else. Again, not if you choose wisely. But if you don't, there's nothing more embarassing than being part of the boilerplate club. You just don't want to be on a client roster list where your site looks like everyone else. Your presentation online should scream UNIQUE VALUE PROPOSITION. That is your business model after all and why you went into business in the first place. Communicate that with your design. 9. It won’t be something I’m proud of. Pride comes in business when you derive value from a smart investment -an investment that doesn't cost you an arm and a leg and generates a high return. That is how you stay in business, by being savvy about how you spend your hard-earned dollars. And once you commit to an agency and have your website up and running, you'll have even more pride - the pride of ownership. 10. The firm doesn’t care about design. This one may seem counterintutive. How can a web design agency not care about design? Truth be told, there are some firms that are simply executing a business model to generate cash. They saw an opportunity and jumped on it. But not all affordable web design firms are like that. In fact MOST are not. They love design first. It's what drew them to the business. Find the passionate players who are proud of what they produce. Be wary of the slick design salesperson. 11. The firm doesn’t understand design. Charging high prices does not automatically guarantee taste and quality. You can assume it does. But you would be wrong. The same gooes for those charging very low prices, which doesn't guarantee an effective web design and user experience either. There are plenty of folks out there hiding behind a hefty or a super low price tag and claiming to do great work. What happens is that it creates a perception that the customer then buys into. If it is a high price tag: I'm paying so much these guys must be incredible! If it is a low price tag: I'm paying so little, I hope these guys know what they're doing! Great design is done by craftsmen who often are running small shops. The big guys often have concepts watered down by too many cooks in the kitchen. The low price players have the limitation of cost vs. hours they are willing to invest for the price paid. If you want cutting edge design stay with your small affordable shop that does work to stand out. 12. The build is cheap because they are going to charge more later. This is a myth that was borne out of few large stock design agencies that like to tag on extras by using design as a loss leader. A good, affordable design agency charges less not to sell you more but simply because they are more honest than most. They know how tough it is to be in business and they want you to refer them new clients. Go with the guys who know what you're up against. 13. The firm is going to lock up the site so I won’t have access. This is a practice that, unfortunately, a lot of independent firms enagage in. They want to hold you hostage to the hosting and platform they created. Maybe they make a little off the hosting, so that entices them to engage in this practice. Go with a reputable firm that others have had a great experience instead of being sold on a price by a firm you don't know at all. 14. You just can’t trust something so affordable. It used to be the case that you had to pay a lot for great design. But not anymore. If you understand the democratization of design you will see that it doesn't need to bust your budget to get what you business really needs. You know that your budget is limited and you know you want a great website that works consistently and looks beautiful You can get all that with the right firm. Just don't fall for all the myths that are out there in the marketplace. Avoid those pitfalls and you'll own a website you can be proud of while it helps you grow your business.